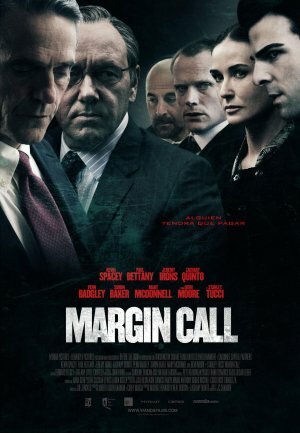 Easily one of the best films of 2011, J.C. Chandor’s Margin Call charts the 24-hour unraveling of a high profile financial company in the early stages of the 2008 financial crisis. When an entry-level analyst unlocks the information that could be the downfall of the firm, a roller-coaster ride ensues as decisions both financial and moral catapult the lives of all involved to the brink of disaster. What follows is a long night of panicked double checking and double dealing as the senior management prepare to do whatever it takes to mitigate the debacle to come even as the handful of conscientious comrades find themselves dragged along into the unethical abyss. The all-star cast includes, Kevin Spacey, Jeremy Irons, Zachary Quinto, Paul Bettany, Demi Moore, Stanley Tucci and Simon Baker. Director J.C. Chandor discusses the challenges and rewards associated with his remarkable first feature film.